Caption: Frijoles Canyon, the heart of Bandelier National Monument. 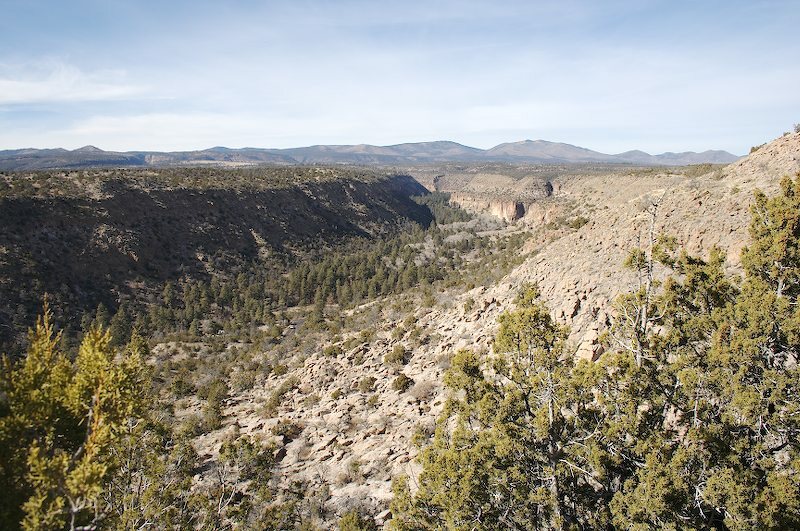 Frijoles Creek cut the canyon through the Pajarito Plateau, which is made of volcanic ash deposited by the enormous eruptions that created the Valles Caldera to the northwest. The Anasazi first settled in the canyon roughly 2000 years ago, cultivating various crops.